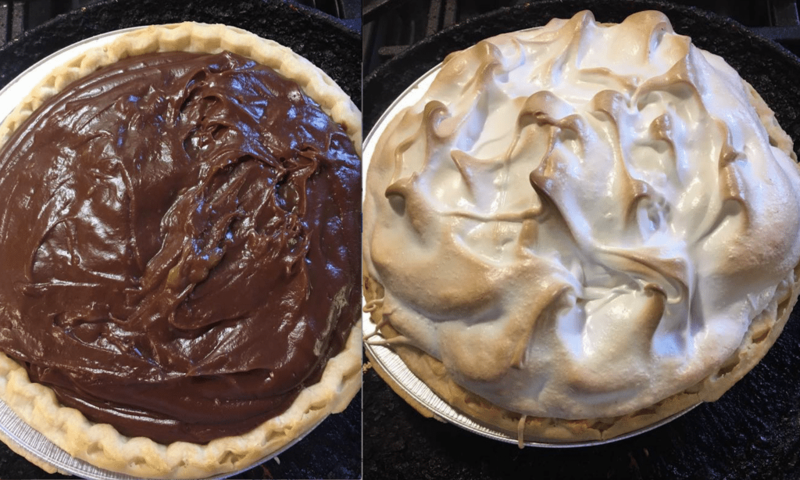 Better than Grandma’s chocolate pie and so easy to make! Topped with delicious meringue, this is sure to be a family favorite. Whisk together milk, egg yolks and dry ingredients. Cook over medium heat until it starts to bubble, remove from heat. Add chocolate, vanilla and butter.